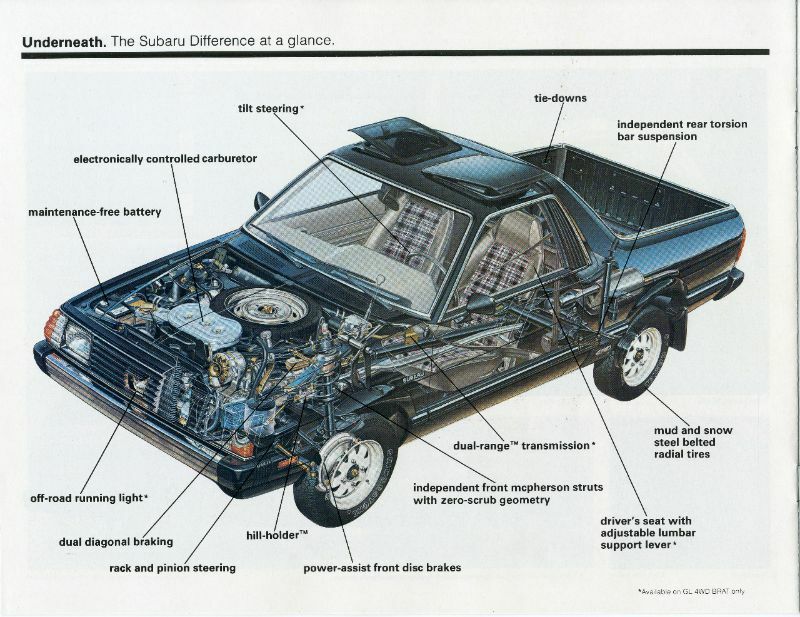 Unless you are talking to an automotive enthusiast, the average person likely has not heard of the Subaru BRAT. This compact pickup has very unusual looks and is regularly included in lists of ugly vehicles, but it certainly stands out in a crowd. While many people hate its styling, others appreciate it for its uniqueness. The BRAT, or Bi-drive Recreational All-terrain Transporter, hit American shores in 1978 during the start of an energy crisis. This was good timing for the compact pickup that had reasonable fuel economy. The BRAT production ran from 1978 to 1994, but models only made it to the U.S. until 1987. Europe, Latin America, New Zealand, and Australia got this auto until the end of its run. There was never even a thought of selling the BRAT in Japan, despite being Subaru’s home market. 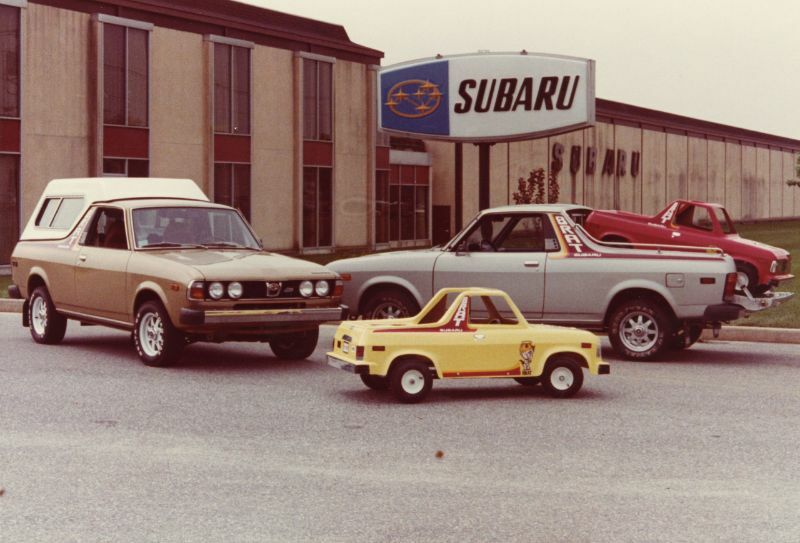 The president of Subaru of America requested the development of the BRAT to meet the growing demand for smaller trucks. The BRAT was based on the Leone station wagon, which is why it had standard all-wheel drive. Other features included a spring-loaded hidden door that included a side step for the cargo bed, a spare tire under the hood, and an available T-top split roof. Despite being based on the Leone, the BRAT waited until 1982 to update its body following the Leone redesign for the 1980 model year. 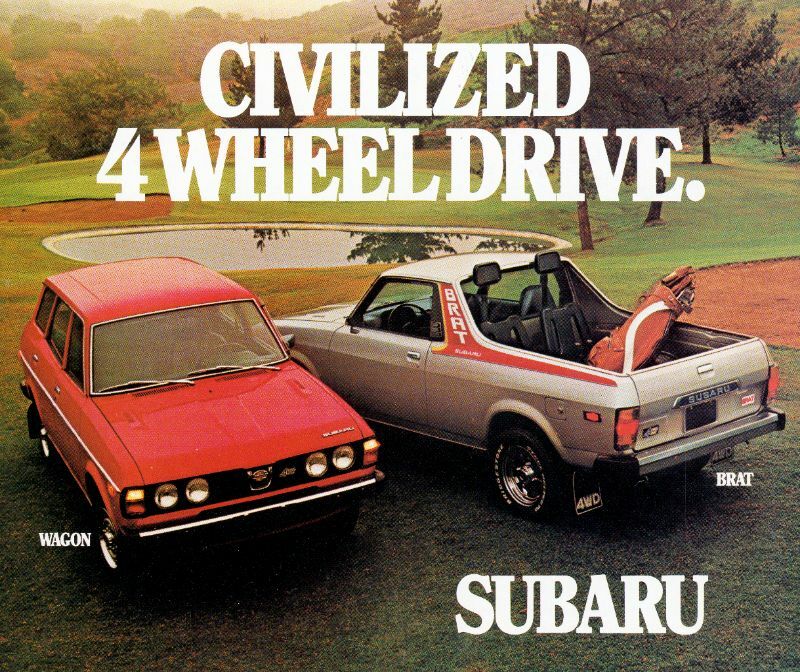 Unsurprisingly for a Subaru, the BRAT came standard with all-wheel drive. The bi-drive in the name came from a button that let you turn this AWD system on or off. At launch, the only engine in the BRAT was a 1.6-liter flat-4 good for 67 horsepower with your choice of 4-speed manual or 3-speed automatic. The engine went up to 1.8 liters and 73 horsepower in 1981. In 1983, Subaru added an optional turbocharged engine for 93 horsepower. While the earlier BRATs used a single-range transfer case, this upgraded to a dual-range later. The North American version of the Subaru BRAT had two jump seats that faced backward in the rear area. This let it avoid the so-called “chicken tax” charged on other light-duty truck imports. Thanks to these seats, the BRAT was a “passenger car.” However, the seats were discontinued following the 1985 model. Despite being a model that few people think of today, the BRAT has made some notable appearances. In fact, President Ronald Reagan had a 1978 BRAT on his ranch near Santa Barbara, California, until 1998. Since then, the auto has been restored and returned to the ranch, which the Young America’s Foundation owns. You will also find a 1985 BRAT on the “My Name Is Earl” TV show. This BRAT displayed the Stars and Stripes, and the character Joy owned it. In “Kidd Video,” a live-action and animated series, Whiz had a 1984 BRAT. Rex from the Rex Kwon Do studio in “Napoleon Dynamite” also had a 1982 BRAT. 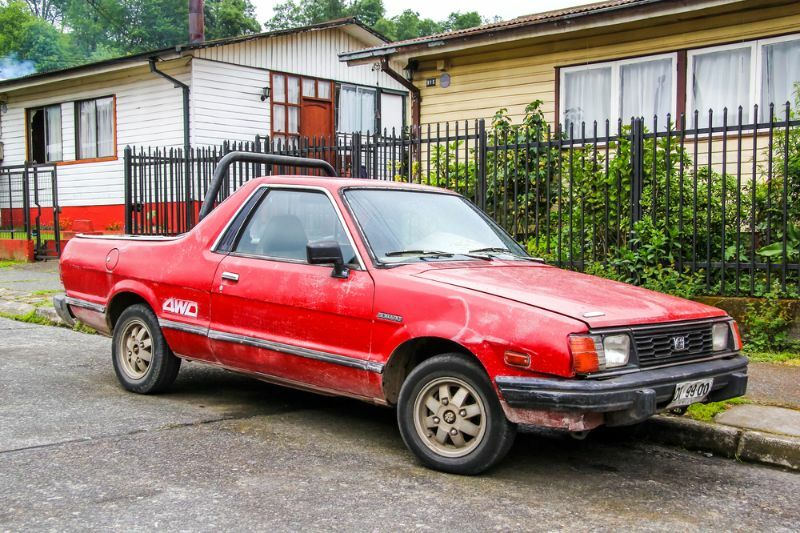 Today, you will be hard-pressed to find a Subaru BRAT if you want to own one. Experts state that 800,000 of these models were produced during its run, but only 923 remain.